Your child will join a small group and have fun learning to read and write: letter sounds, letter formation phonemic awareness and phonics. 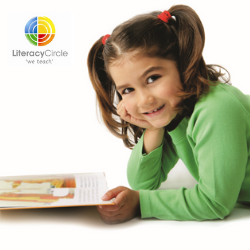 Literacy Circle will give your child the confidence and skills with reading, to start school next year. Terms and conditions: The winner/s will be chosen by Northern Beaches Mums, Wednesday 13th of February at 9am and contacted by email. If the winners cannot be contacted within 3 days another winner/s will be chosen.